• Borders: 5th Avenue and Central Park (west), 96th Street (north), East River (east), 59th Street (south). • Top Attraction: Shopping & restaurants. • Shopping tips: Italian shoes, bags and belts. • Famous for: Elegance & affluence. dotted along Central Park on Fifth Avenue. This area is accessible by subway line. There is a four-track IRT on Lexington Avenue. It is one of the wealthiest area in New York City and this is reflected in the architecture. Fifth Avenue is dotted with mansions and museums. East of Central Park and used to be called the ‘Silk Stocking District’. It has the greatest concentration of individual wealth in the world. 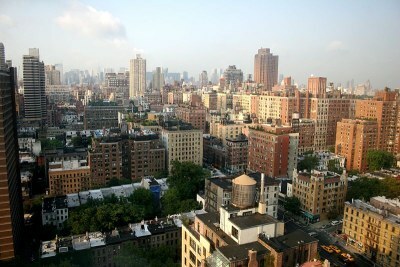 According to the 2000 census there are 207,543 people in the Upper East Side. There are many haute couture and designer boutiques shops in Madison Avenue and Lexington Avenue, like Jane Boutique, for women’s clothing, jewellery and accessories and Fopps. Bloomingdales is the most famous store in the area. The elite of NYC’s upper class and famous families have made this area their home. The names Rockefeller, Kennedy, Duke, Roosevelt and Whitney are well-known. The Vanderbilt name is also prominent here, as the family lived on Fifth Avenue. Other notable inhabitants were Andrew Carnegie, Henry Clay Frick and Andy Warhol. Gracie Mansion is one of the best preserved colonial buildings in the city and was built in 1799. 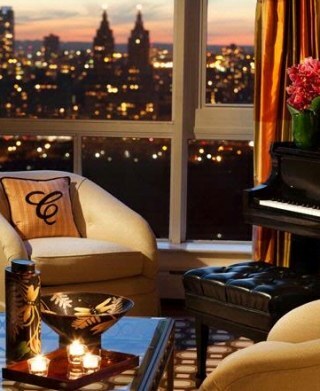 Overlooking the East River it became New York’s official mayoral residence in 1942. There are guided tours most Wednesdays to view the house and its collection of decorative arts. If you have children, you may want to visit Central Park Zoo, which is located on Fifth Avenue and East 64th Street. It was one of the first zoos in the USA to re-create natural habitats in an urban environment. There is a good collection of animals, ranging from penguins and polar bears in an Arctic environment, to forests with tropical birds, endangered red pandas and Japanese snow monkeys. The sea lions are a great attraction. Upper East Side has earned the nickname ‘Museum Mile’. The Whitney Museum of American has a huge collection of art including works by Edward Hopper, O’Keeffe and many more. The Frick Collection is a wonderful collection of art treasures amassed by Henry Clay Frick, one of New York’s robber-barons. Opened in the 1930’s, what makes it different from other museums, is that it has no wall signs describing anything at all, but you can use the hand held guide provided at the entry. The Guggenheim Museum is a peculiar and modern looking building, which looks completely out of place with the rest of the Fifth Avenue architecture, but New Yorkers have grown to like it. It houses a large collection of abstract art including Kandinsky, Chagall and Klee. The Jewish Museum, located in the heart of the Upper East Side’s famous Museum Mile, has been housed in philanthropist Felix Warburg’s chateau-style mansion since 1947. With a collection of 26,000 objects, it is the largest collection of Judaica outside Israel. Candy Shop, a bijou luncheonette on Lexington Avenue which specialises in sodas handmade with syrup and seltzer. Bemelmans Bar is worth downing a few cocktails in. The retro-style bar has murals on the wall, depicting the characters from Ludwig Bemelmans’ bestselling story Madeline. Just across from the Bemelmans Bar is Café Carlyle, where you might see Woody Allen playing the clarinet with the Eddy Davis New Orleans Jazz Band. Judy Collins, John Pizzarelli and Steve Tyrell also frequent this bar. If you want to visit an out of the way hidden gem, go to Roosevelt Island. The northern tip gives you great views of the East River and the waters of Hell Gate. The lighthouse dates from 1872. There is a lovely park, too. This interesting island has been a quarantine site for smallpox victims and criminals. The Octagon Tower was a lunatic asylum, where Mae West once resided. What’s nearby? Try Chinatown and Nolita (North of Little Italy) while you’re in Upper East Side, or take the subway to Brooklyn.